For PWC & Jet Ski owners who can not have any overhead structures on their dock. 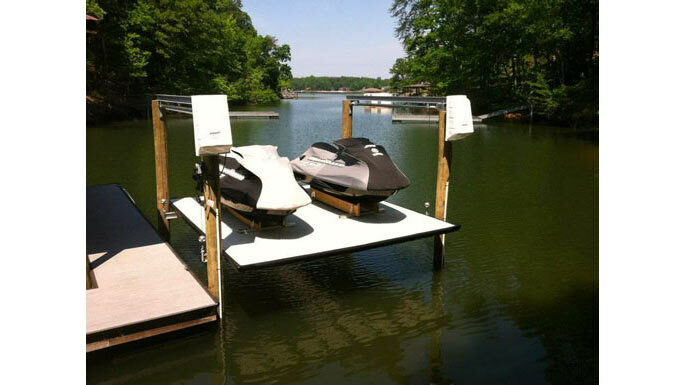 Our 6000 lb, 4 Post Double PWC Jet Ski Lift is an ideal way to get out on your skis with ease. Often sold with a Gem Wireless Remote and/or our PWC Jet Ski Platform.